These mammals are 10 to 14 feet long and weigh up to 1,100 lbs. They have been observed breaching up to 16 feet out of the water, landing with a splash on their backs. In the wild, these sleek swimmers can reach speeds of over 18 miles (30 kilometers) an hour. They surface often to breathe, doing so two or three times a minute. Bottlenose dolphins travel in social groups and communicate with each other by a complex system of squeaks and whistles. Schools have been known to come to the aid of an injured dolphin and help it to the surface. 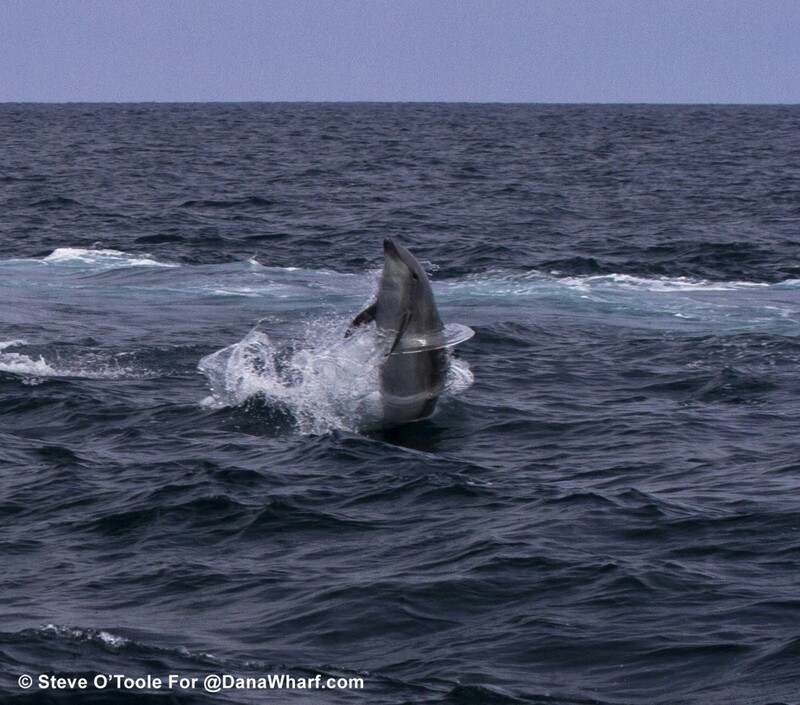 Photo courtesy of Dana Wharf Sports Fishing and Whale Watching.